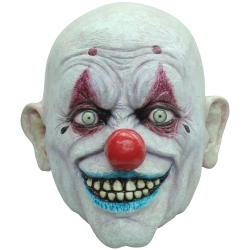 The fear of clowns is a common fear, and this spooky clown mask plays on that fear. Create a scary clown costume by pairing this mask up with a traditional clown costume. For added horror tatter the costume and add a splash of stage blood.